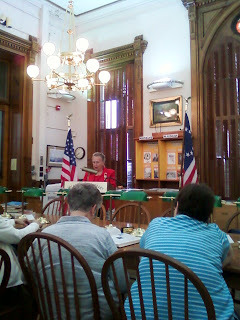 Rebecca A. Shelton presented her program "Founding Mothers" to about 25 to 30 people. We learned some interesting facts about the role of women in America's independence from England. With humor and interesting stories, Rebecca's talk was enjoyed by all. At the end of the program, newly elected & installed President Don Counts presented Mrs. Shelton a Certificate of Appreciation for being our guest speaker. 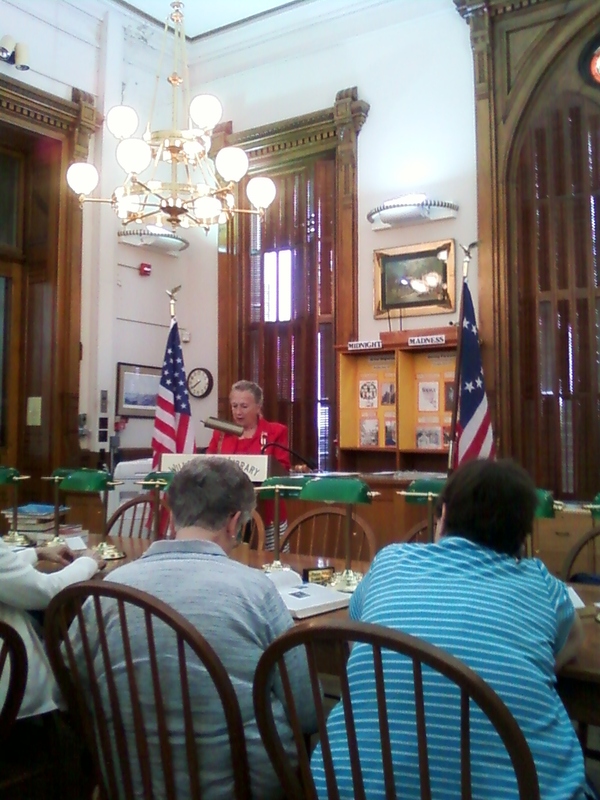 Out-going President John West opened the meeting with the Ohio Valley Chapter of the Indiana Society Sons of the American Revolution performing a brief ceremony in recognition of Flag Day (June 14th.). OVC members taking part in this event was Ernie Payne, J.D. Strouth, Don Counts & John West. The SAR Color Guard carried the 50-Star & 13-Star U.S. Flags, with J.D. Strouth leading the Pledge of Allegiance to the Flag and then the reading of the poem "I Am The Flag." Election of the 2011-2012 Officers was conducted followed by the Installation of the Officers.